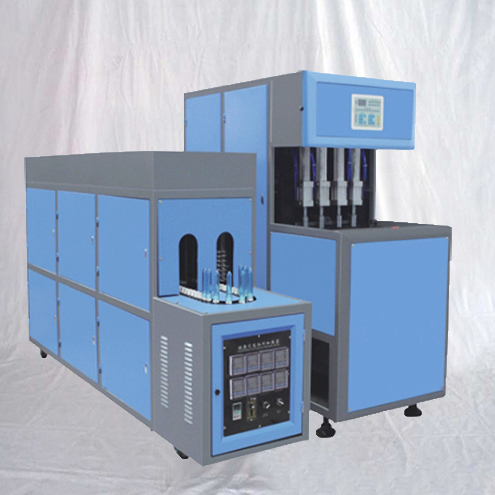 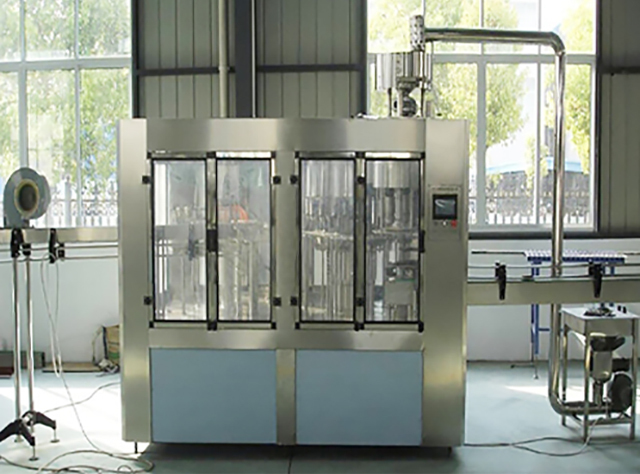 This series equipment is used in the production of non-carbonated drink, such as mineral water and purified water, etc. 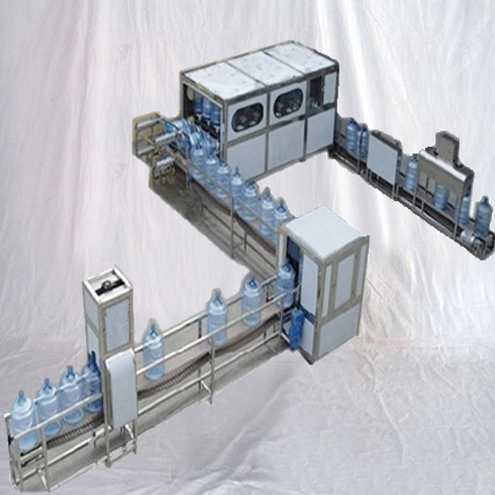 Washing, filling and capping are integrated into one machine. 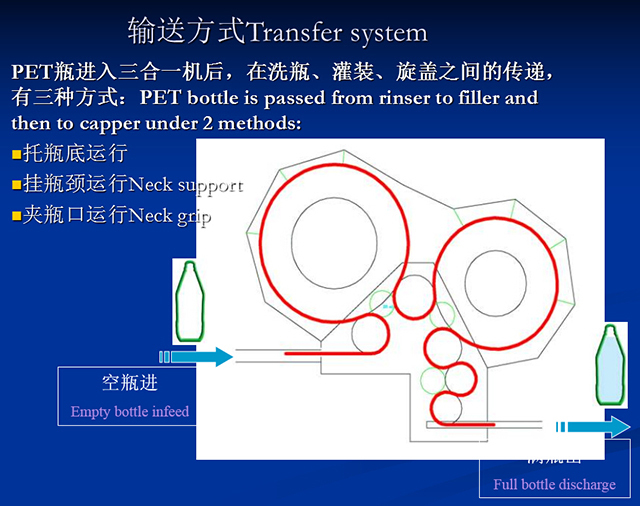 (1) The suspending bottle-neck clamping design make the bottle stable during the high-speed moving conditions. 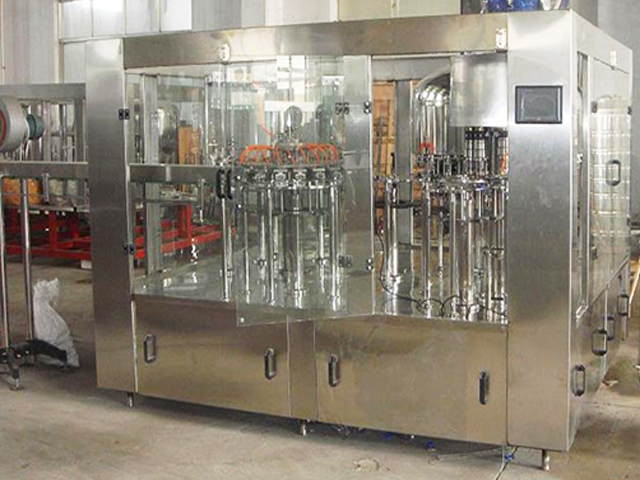 By changing a few parts, it can meet the need of production of different types of bottles easily. 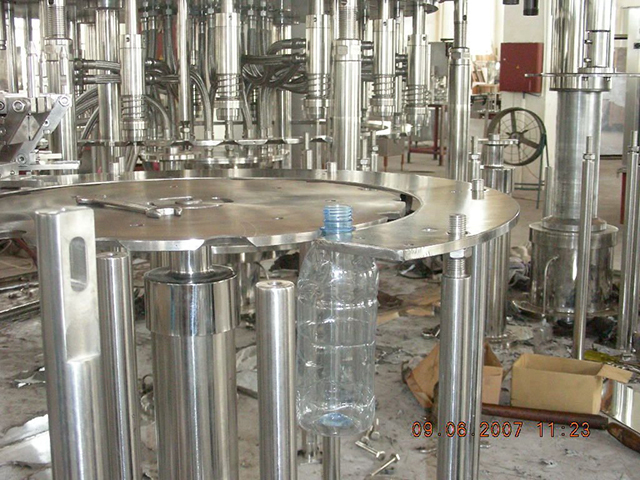 (2) The new generation of stainless steel grab is adopted and the grabs have no contact with the area above the bottle"s screw thread. 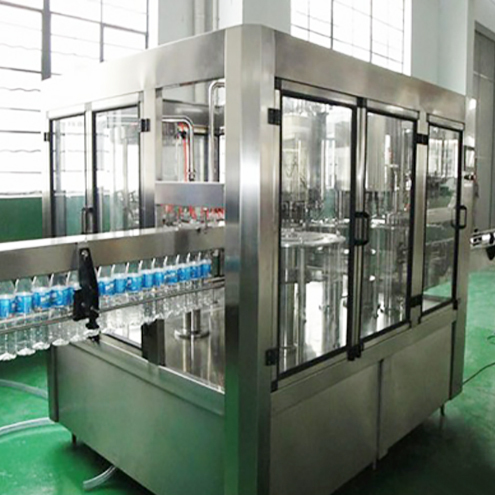 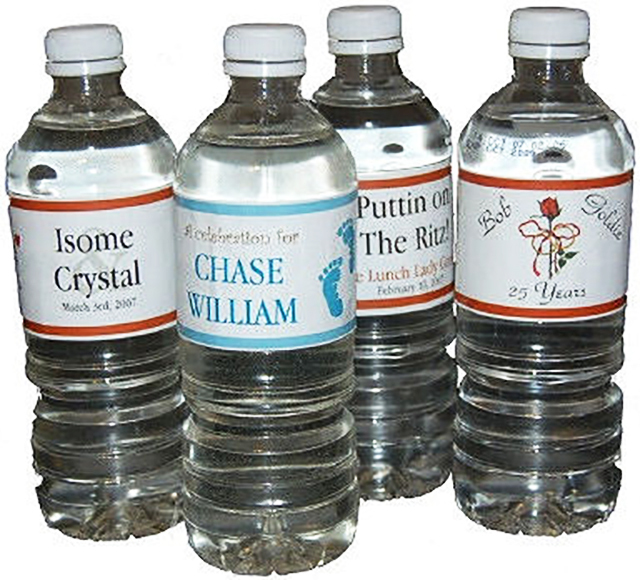 Nozzles in the grab can guarantee the complete wash of the interior of the bottle. 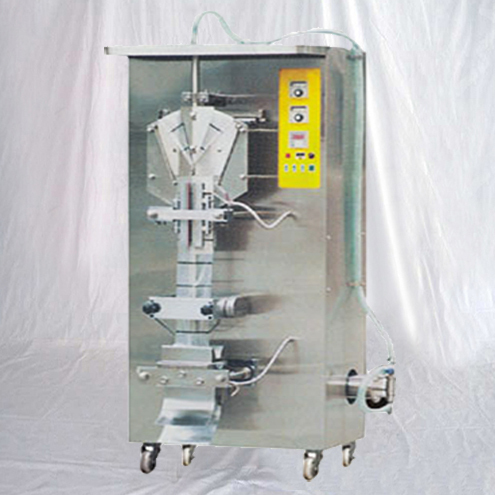 (3) The advanced gravity filling technology used in this machine makes the filling quick, steady and accurate. 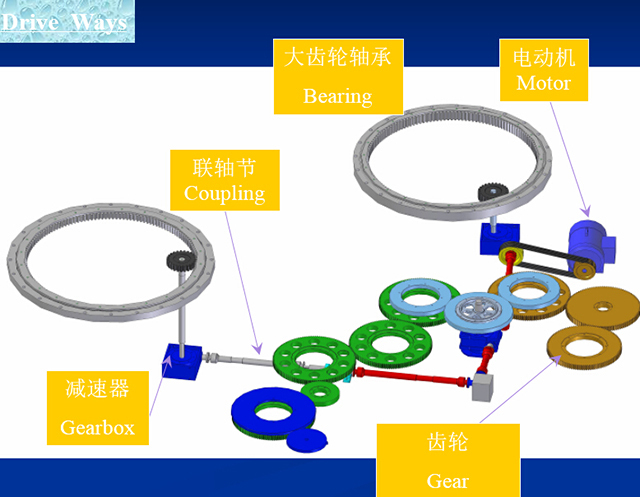 (4) Magnetic torque is used for screw capping, and the power of screw capping can be adjusted steplessly. 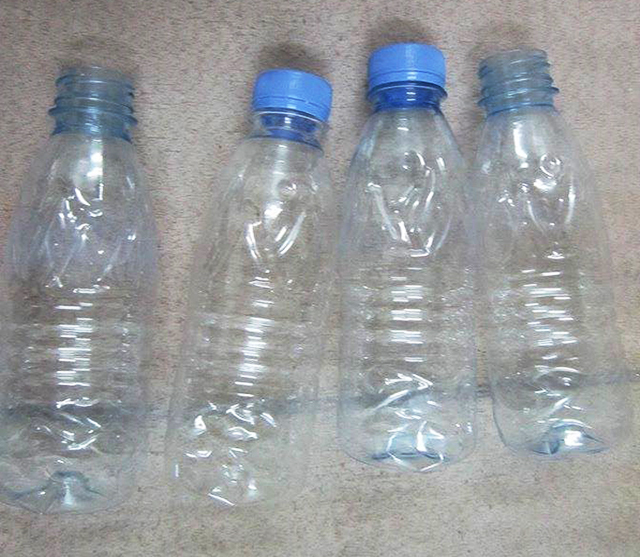 Capping is reliable and do no harm to the caps. 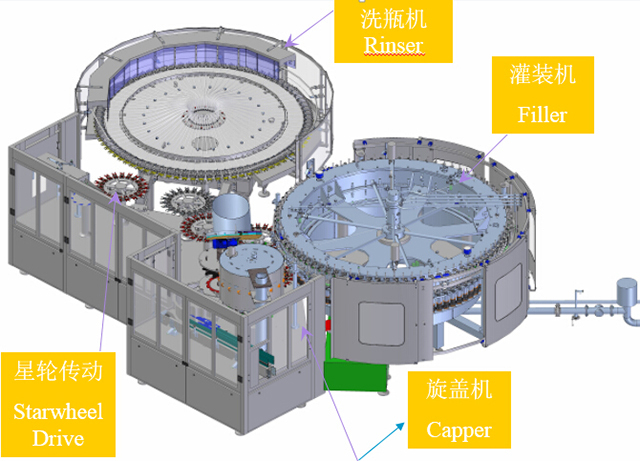 (5) Advanced technologies, such as human-machine interface touch-screen and PLC program control are adopted in this machine. 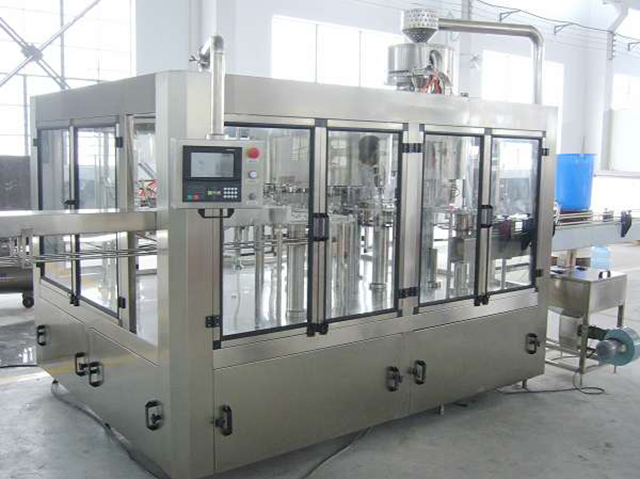 (6) All parts that have direct contact with the water are made of high quality stainless steel. 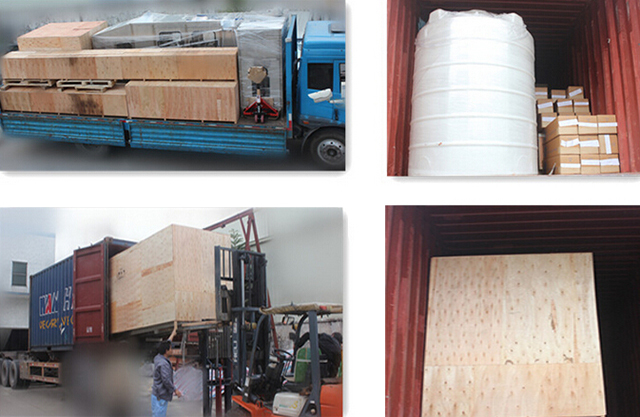 The critical electrical components are from famous international companies, such as Mitsubishi, Omron to name a few. 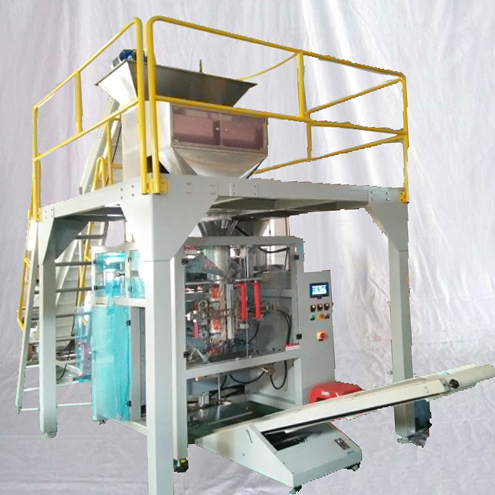 When bottles are sent to the machine by conveyor continuously, they firstly are delivered to the receiving wheel by air-slide conveyor and then to washing part. 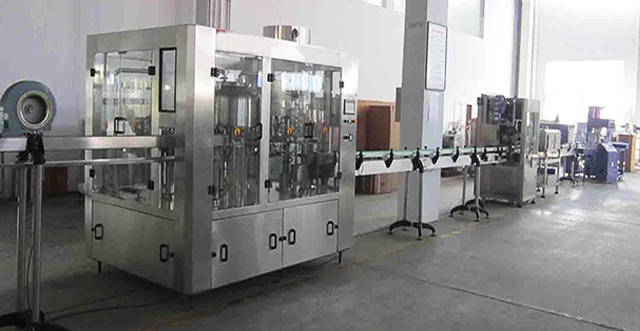 The bottle clamps hold the bottles and turn over 180°to wash, then return back to their original position after enough washing and drying. 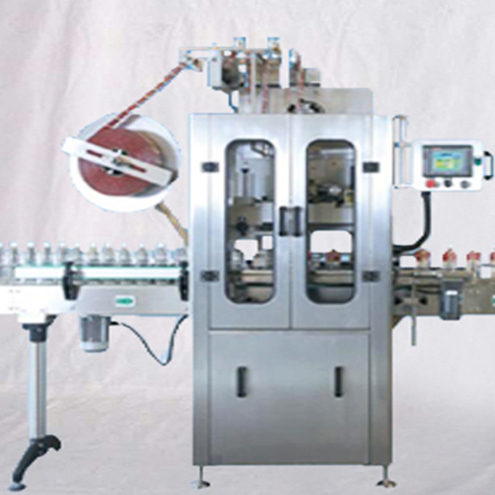 Then, the bottles are sent to the middle thumb wheel 1 and to the filling part to be filled, then moved by middle thumb wheel 2 and reach to capping part to be capped, at the same time, cap trimmer sends caps to the top of the bottles and capper screws caps. 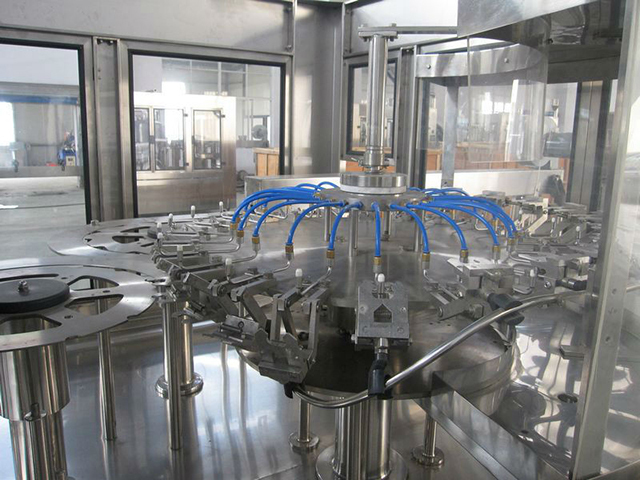 At last, bottles are sent to the conveyor chain by the out stirring wheel to next working position.